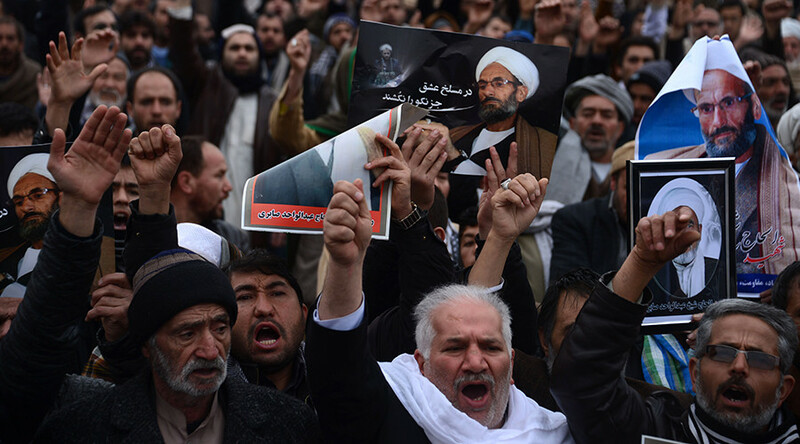 Nearly 2,000 protesting Shiites have marched against Islamic State in western Afghanistan and condemned the latest string of atrocities perpetrated by the terrorist group. Protesters holding photos of Shia Muslims killed in recent IS (formerly ISIS/ISIL) terrorist attacks marched to the governor’s office in the western city of Herat on Tuesday, according to AFP. The crowd chanted slogans such as “Death to the enemies of Afghanistan!” and “Death to Daesh!” – another name of Islamic State. The rally was triggered by the increased number of attacks on local mosques and influential religious scholars. The city’s security forces are doing their best to capture the perpetrators of the recent attacks and to protect local residents from further incidents, Herat Governor Mohammad Asif Rahimi said, according to Afghanistan’s Pajhwok news. On Sunday, an Imam was killed while five others were wounded in one of such attacks. However, Islamic State have not yet claim responsibility for the attack. This week, the Afghan government said militants were steadily moving from the eastern province of Nangarhar bordering Pakistan where they had gathered a few months ago. “Our initial information shows Daesh is behind the recent attacks in Herat. They are expanding and are always looking for new geographical areas,” head of counter-terrorism at the interior ministry Najeebullah Mani said, according to AFP. “They are present in at least 11 [of Afghanistan’s 34] provinces. Their main goal is to create sectarian divisions between the locals,” Mani added. Last year the Shia community saw a surge in attacks carried out by IS terrorists. In October 2016, at least 14 Shiites were killed in a blast at a mosque in the city of Mazar-e-Sharif. A gunman attacked worshippers a few hours earlier killing 18 people. In July, a blast that targeted members of Kabul’s Shia community claimed the lives of more than 80 people while 130 others were wounded.